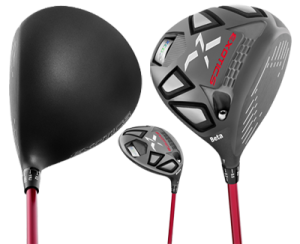 In a word, my impression of the Tour Edge Exotics XCG7 Beta driver is solid…and straight. Oh, I know that’s two words but after I typed the first the second just appeared on the screen and both are true. It wasn’t necessary to get in all ten rounds with this driver in the bag to arrive at those descriptions though the longer I used it the more I appreciated its qualities. As I said, solid and straight. For those of you unfamiliar with Tour Edge Golf, they have a great business plan. Build clubs with the latest design features and best materials and sell them for what can only be called, “very competitive” prices. Until the introduction of the Exotics line (this year’s models being the seventh iteration) the company was primarily known for game-improvement and super game-improvement clubs especially fairways and hybrids. Great clubs for sure but not particularly glamorous. Then they developed the Exotics brand and all of a sudden better players (and those who want to be) have become customers. Exotics models are targeted for use by better players. 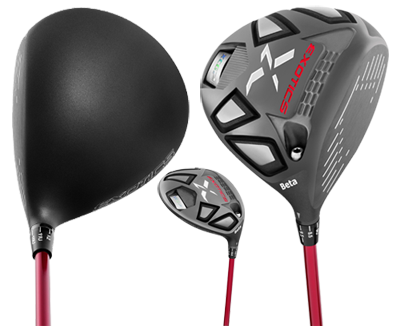 For example, the regular version of the XCG7 driver would certainly work for those with handicaps in the teens. The Beta model of this test however is specifically for low handicaps and has a smaller clubhead—440 cc versus 460 cc. The feeling of “solid” comes from the club’s weight distribution bit also from the very nice 60-gram stock Matrix Red Tie shaft which gave my drives a medium trajectory. And in the spirit of full disclosure my swing speed according to recent session with a swing monitor is 98 to 103 mph. The “straight” has to be because the XCG7 Beta doesn’t put a lot of side spin on the ball and as I found that may be the only thing that could be a problem. Normally I hit drives that go straight to a slight draw but on the seventh hole of my home course you definitely need to hit a cut from the tee so as not to run through the fairway into trees. I know how to hit a cut of course but the first three or four rounds with the Beta driver my tee shot didn’t curve enough leaving me with a punch out/low hook to get the ball somewhere around the green. The cure was to spend time on the range practicing a cut that could be classified more as a power fade which helped so that the second shot on the seventh now is usually from the fairway. I also found the adjustability from 8.5 degrees to 12 degrees in one-half degree increments to be very handy and presently I have it set at 11 degrees.